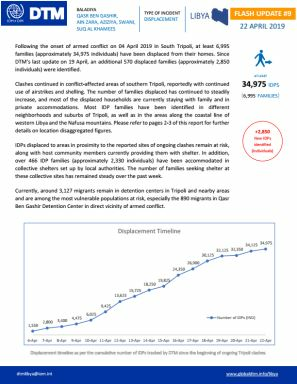 As the security situation remained calm during the reporting period, 250 families returned to their homes. 13 families are still displaced in Tajoura following the clashes in September, unable to return due to severe damage to their homes. An estimated 700 migrants arrived to Swani Bin Adam in October, most reportedly in transit to other locations. 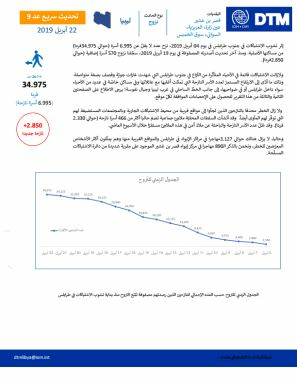 Approximately 950 individuals returned to their homes in Ain Zara as the security situation remained stable throughout October. Around 900 migrants arrived in Aljufra in October; reportedly, the majority arrived for seasonal work and in transit to other locations. 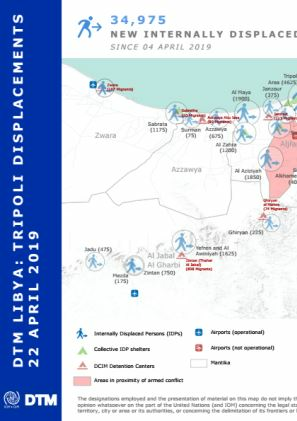 Around 365 individuals returned to Derna in October as the security situation reportedly stabilized; reported needs include food, NFIs, medicine and protection.Around 3,925 individuals returned to their homes in Abu Slim, including some families in need of shelter and NFI assistance due to damage to their homes.Furthermore, an estimated 3,000 migrants also returned to Abu Slim following the end of hostilities. Around 170 Families returned to Tawergha, however not all of them are permanently staying there due to lack of basic services. 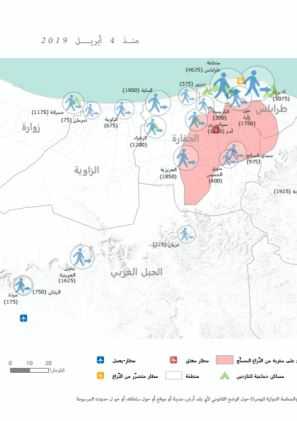 An estimated 500 to 1,000 migrants arrived and transited during the reporting period. 15 individuals reportedly left Suq Alkhamis and arrived in Zliten; reported needs include food and clothing.